This knowledge may help develop healthier foods designed to manipulate the digestive process. For instance, knowing how quickly glucose gets absorbed into the bloodstream would potentially help treat diabetes. British scientists have created the world's first artificial stomach that may allow us to understand what happens in the gut and help develop healthier foods to manipulate the digestive process. The device made by Martin Wickham and colleagues at Norwich's Institute of Food Research can withstand the corrosive gut acids and enzymes, and can be fed real food. Made from sophisticated plastics and metals, it mimics both the physical and chemical reactions that take place during digestion - and can even vomit, reported the online edition of BBC News. The top half of the model consists of a vessel in which food, stomach acids and digestive enzymes are mixed. Once this hydration process is finished, the food gets broken down into smaller pieces that can be absorbed by the human body. 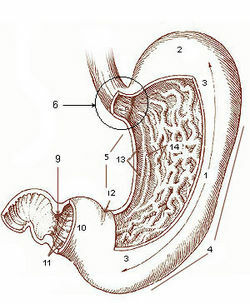 Computer software is used to control how long food remains in a particular part of the stomach, and the release of the gut secretions. The model has the capacity of about half the size of an actual stomach. Wickham hopes his model will help scientists understand more about how food gets processed in the gut, and which nutrients get absorbed. Stephen Bloom, head of metabolic medicine at Imperial College in London, agreed the model could be useful - but warned that it might have limitations. He said: 'The stomach is an extraordinarily complex organ, so you cannot create a model that will undertake all of these functions. The artificial gut is already attracting commercial attention, with one company wanting to test how a new food product can release a specific nutrient into the intestine. Another group wants to determine if soil contaminants, which could potentially be swallowed by children playing outside, get absorbed by the human body.